Brand-newand innovative Platinum Reef Concept emphasises the economy and user-friendliness above all. 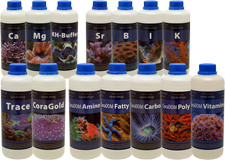 It is an ideall concept for - but not only for - the reefkeeping newcomers. 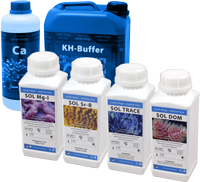 More user-friendly concept, only 4 products are needed for the complete water care (6 products, if calcium reactor is not used). 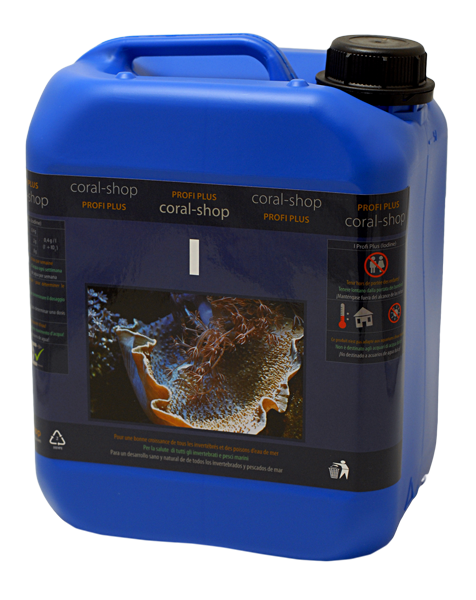 Profi Plus Concept is based on separate supplementing of inorganic elements and organic compounds depletion with individual, highly concentrated products. There are no mixed solutions used in the process and available level of water treatment control is ultimate. 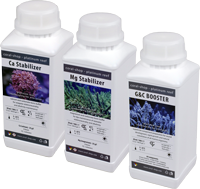 Growth & Colour BOOSTER is an exceptional supplement, which contributes to the sound development, growth and correct coloration mainly of corals, but also of other marine organisms, in a positive, fast and natural way. Originally it belongs to the product concept Platinum Reef, but it is in essence a separate, widely compatible product.